One of our favorite tasks when it comes to ConfigMgr management is SCCM Report Creation. Not only it brings value to an SCCM installation, it bring visibility on your hard work toward your management. Without SCCM reports, this huge management tools is running silently on all your devices but you’re not benefiting of all the advantages. It’s like having a sport car and discovering the Autobahn … ok maybe not. 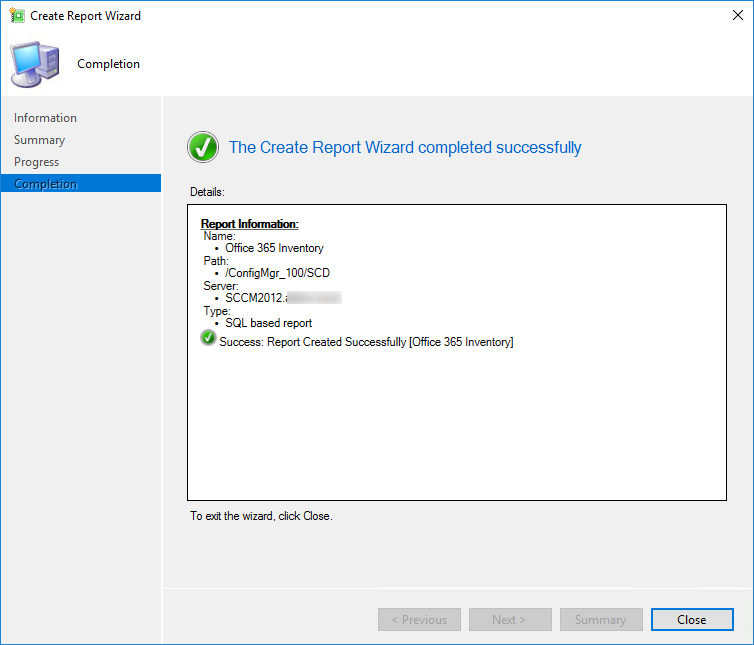 But what makes a good SCCM report ? 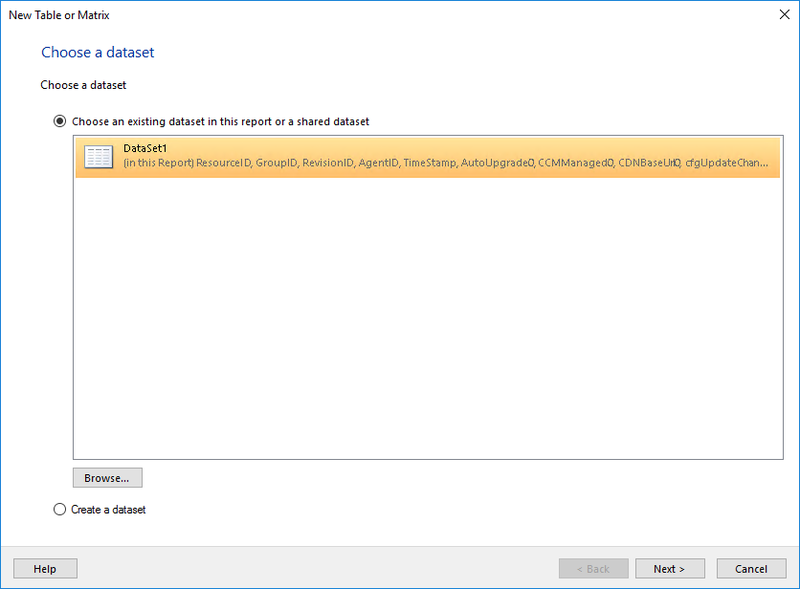 Building an efficient SQL query is the hard part of report creation. Without any SQL skills, it will be hard to achieve what you want… but, everything can be learned. Two years ago I’ve never done a SCCM report and today we’ve build many and sells them to businesses like yours. Try to keep it clean : add pie charts and graph if possible. Microsoft proves this with their latest Software Update dashboard and Office 365 dashboard. In our opinion, the default SCCM Reports are lacking many of those points. Yes, they offer valuable data but they are often not adapted to your environment and are visually… basic. 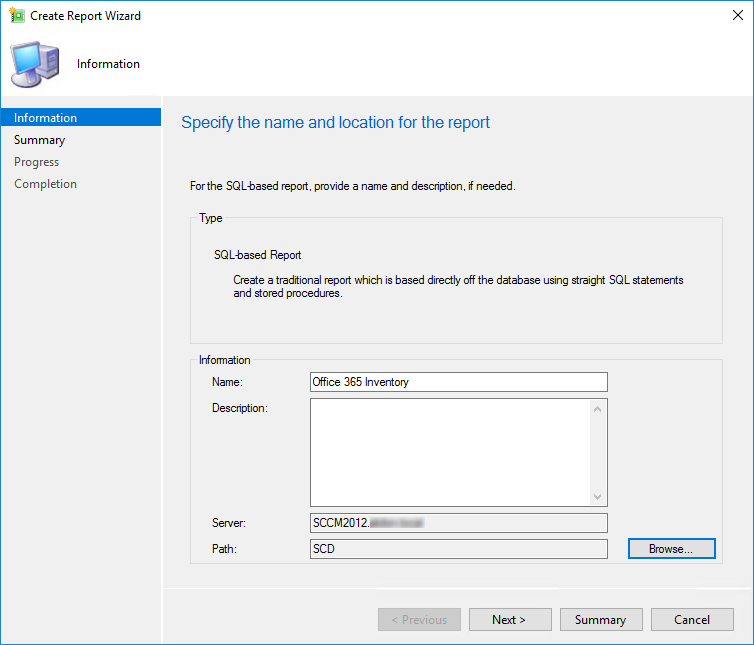 For all those reasons, we started to create our own set of reports and due to their growing popularity, we decided to help you begin your own SCCM report creation process. For this example, we will show the process that we took when designing our free Office 365 report. 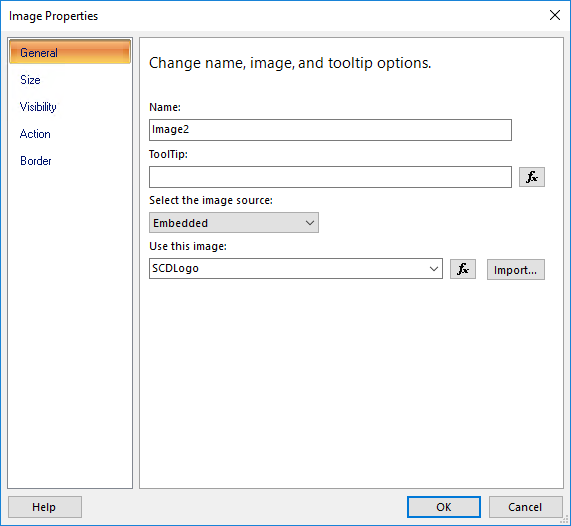 SCCM 1606 introduce a new way to inventory Office 365. A new inventory class is created on the client and this data is stored in the v_GS_OFFICE365PROPLUSCONFIGURATIONS. 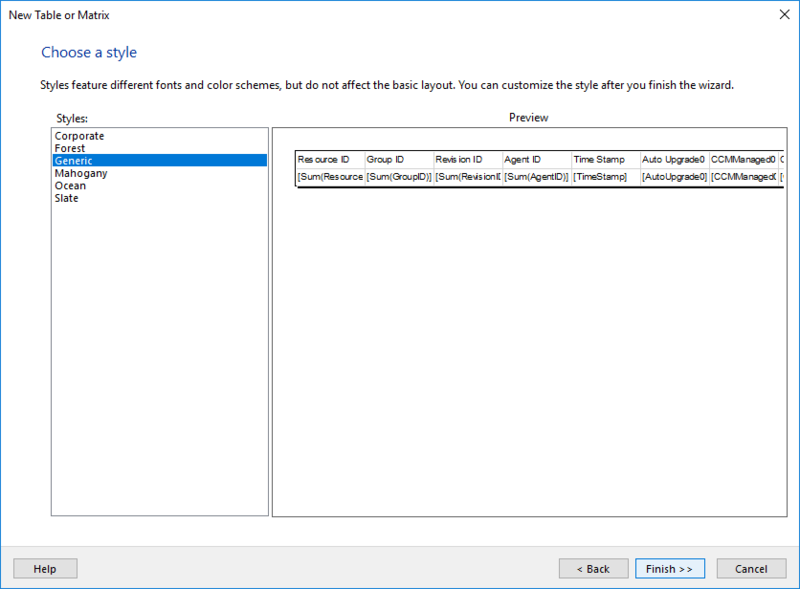 We found this view by browsing the v_GS_* classes in the SCCM database. These classes are usually related to hardware inventory information. By looking at the results, we know that this is the right view to use. After that, we’re adding SYS.Name0 in the SELECT to add the machine name from the V_R_System view and we use a WHERE clause to exclude all NULL records. 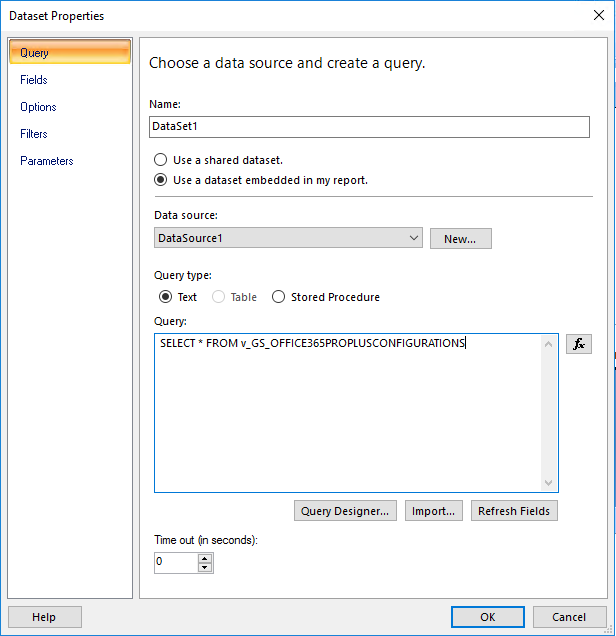 You can modify the query to exclude unwanted data. Once your query is created, we can create the report. Report Builder is a simple tool to create reports. You can also use Visual Studio but you need a licence, so we’ll stick to Report Builder. We will explain the basic steps for creating a report. Once Report Builder is launch, look at the left part of the screen, we will focus on the Report Data section. Data Sources and Datasets folder are the most important to start. 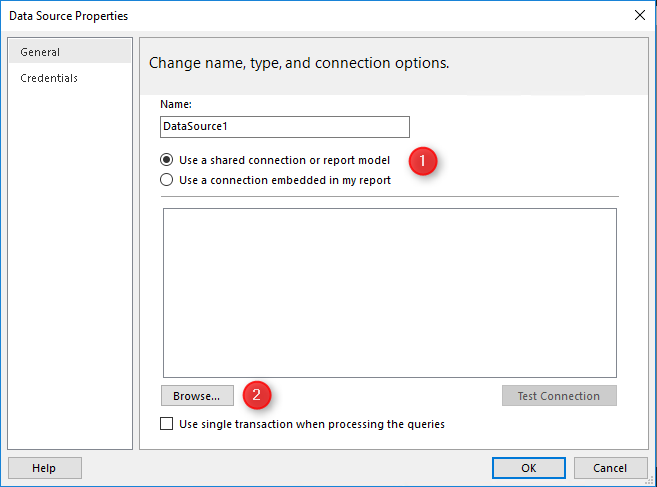 The Data Source section will be used to configure the database and Dataset will be used for the SQL query. In our case, we won’t use Built-in Fields and Parameters but they are very useful when you want to standardize your reports. For example, if you want to scope a report to a specific collection, you will need to use the Parameters section. If you want to include your company logo in the report, you will need to import it in the Images folder. 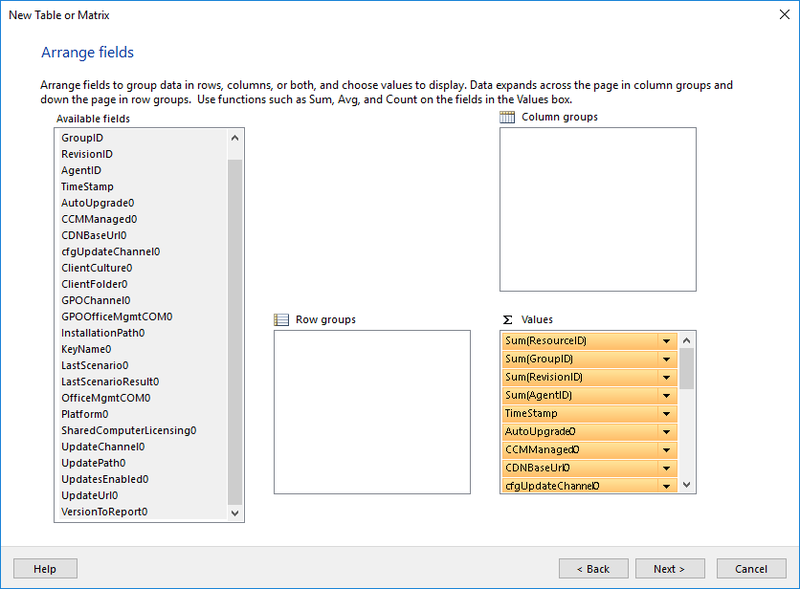 The Datasets section is where your SQL query will be created. We are now ready to create the visual side of the report. We will include the data returned by the query. 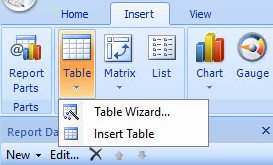 Select desired fields to be displayed in the table and drag them to the Values box. In our example we simple just take everything. When we’re done with the design, we will test the result in Report Builder before saving it to our production folder. Go back and modify if needed, when you’re satisfied with the results, click Save button on the top left. 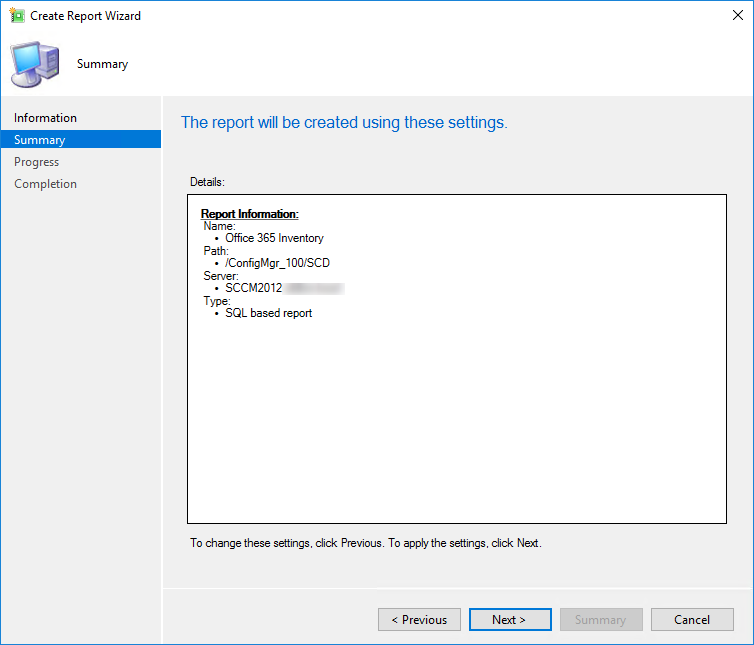 The report is automatically available on your reporting point in the folder you specified. 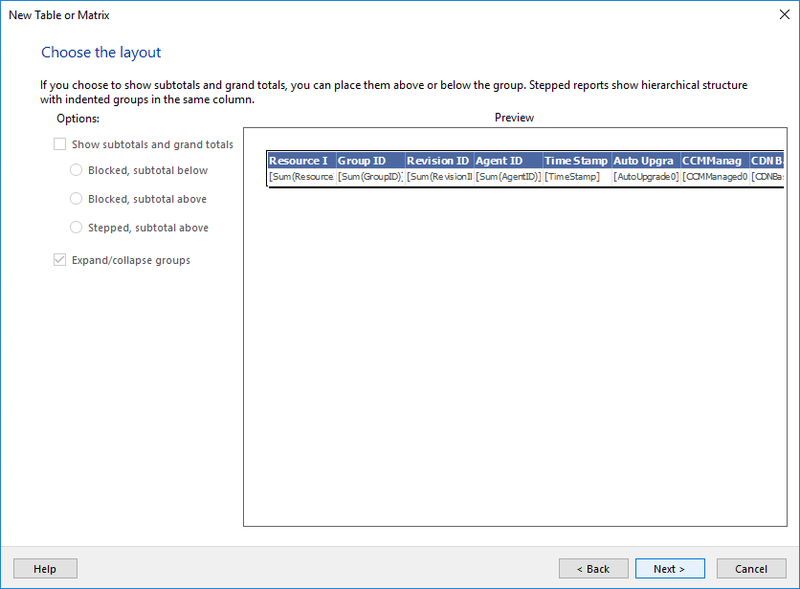 By saving the report in Report Builder, your report will be updated in SSRS and in the SCCM console. Open your web browser, go to your reporting website (usually http://nameoftheserver/reports). Your report should be published in your folder. 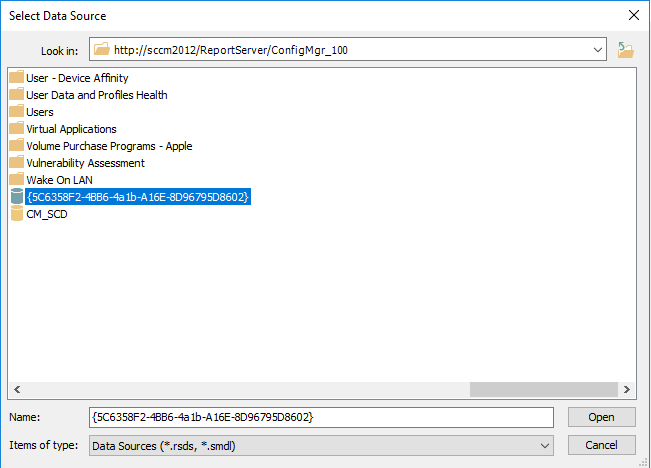 From the SCCM console, go to Monitoring / Reporting / Reports. Your report should be published in your folder. Your first report might not been the best one but with perseverance, you’ll get better and develop your skills. Happy reporting ! The report builder tool is a tool. 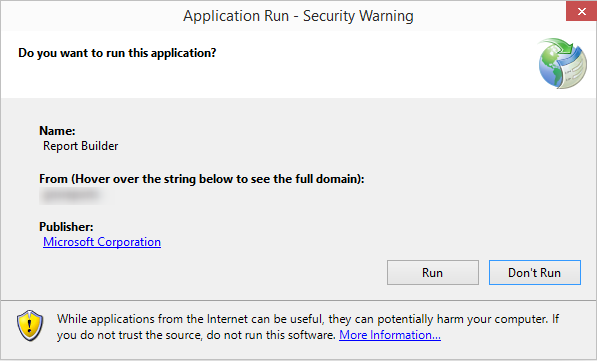 It might be the most non-intuitive thing MS has ever created. And I thought Crystal Reports was bad. 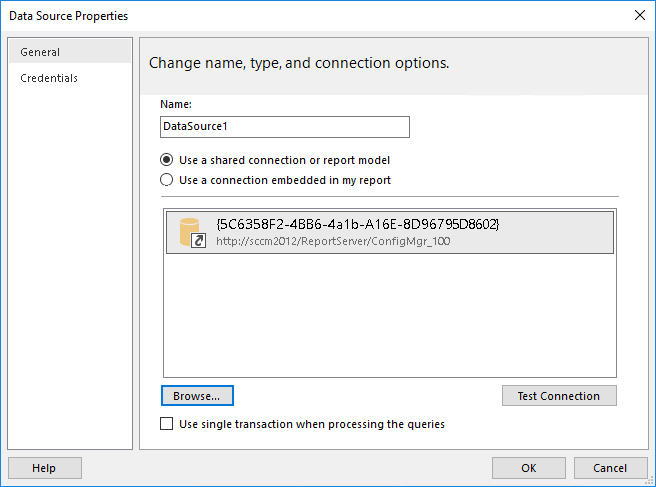 I have always an error on this option… I am able to create reports on the Reporting Service Server without issue , I could run them from the SCCM Console on the Primary Server but I could not create them from the Primary Server… as stated in this article… There is something missing …. 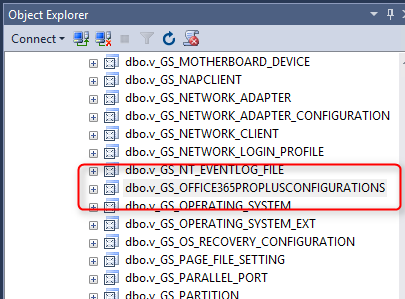 You might getting error always on the option, if the report builder was not installed in config Mgr. Once you install report builder weather version 2 or 3.0.0. then try to create reports.